Modern conservatories are something that never fails to add a little sophistication to a house, and these classic constructions are used today for a huge range of purposes. 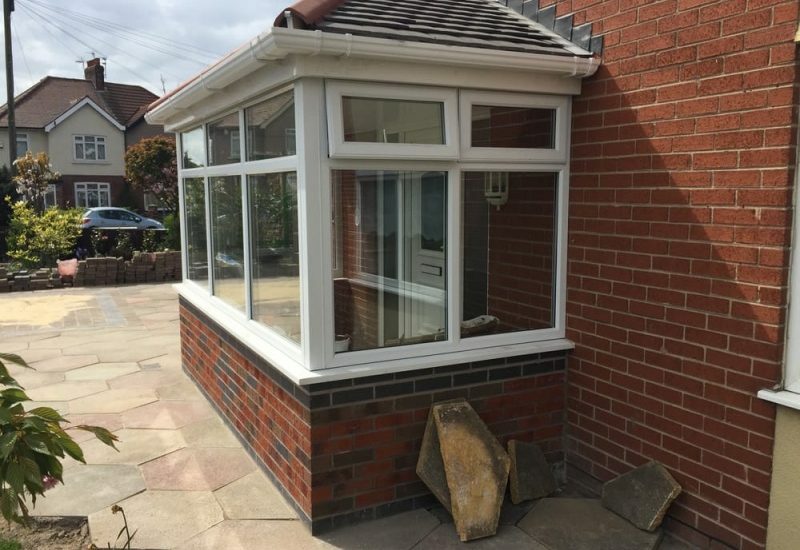 At JLP Builders, we provide the best conservatories in Liverpool – both building and restoration, and we offer a free 1-hour no-obligation consultation to every client and potential client. Together, we can work to get the most out of your conservatory and provide you with an addition to your home that you’ll be proud to use. Conservatories are a time-honoured way to make some additional space in your home, and can create a stunningly beautiful area that is truly multi-purpose. Our expert architects can help tailor your conservatory to your house, your plans and your garden, creating a space that is uniquely yours. Our conservatory building services are not limited to construction, either – the stress of planning permission, submitting applications and securing plans are all taken care of for you, making LJP Builders a hassle-free construction option from start to finish. All of our conservatory builds are completely customised to suit you, and you retain complete control over the project. If you don’t like an idea, we won’t do it – as simple as that. If you’re thinking of building a conservatory in Liverpool but you’re worried about the cost or the hassle of the build, call LJP Builders today, and we can help you build the conservatory of your dreams. The reasons to build a conservatory are many and varied; and every person has a different take on them; however, since the conservatory is a versatile and multi-purpose room, we’ll go over a few possible uses below. Having an extra sitting room isn’t just a dream any more – if you’re looking for a comfortable place to curl up and read, get away from the TV or simply need more space, using a conservatory as an additional sitting room can be the perfect solution. The kitchen is increasingly becoming the heart of the home, as a hub for entertaining guests as well as simply a place to prepare food. However, many of them don’t quite have the space, the seating, or the arrangement to make entertaining a dinner party possible, so adding a conservatory may be the answer- bringing space, stylish design and a bright, open feel to your entertainment area. Conservatories in Liverpool are perfect for working at home. Light, open and full of natural lighting, they are situated away from the thousand distractions in the centre of the house and can provide a serene space where your concentration can flourish. Sitting down to eat a meal in front of the TV or in the kitchen can result in excellent dinners feeling informal or underwhelming – but creating a space just for eating can bring a little more occasion and class to every meal. Making these dining rooms even better is their spacious and open setting and the view of the garden – perfect for dining in summer and through the stunning colour changes of autumn. The Northern summer tends to be a little brief and a little brisk to allow much sunbathing, no matter how much we may love it. A conservatory lets in the sun and the heat without letting in the wind, meaning you can lounge in the sun with a good book even if it’s a little on the windy side outside. Growing plants in our homes is a great way to add a bit of colour and a lovely feel to the house, but all to often we’re stuck for space and our plants wither without enough sun. With a conservatory, both problems vanish at once, letting your plants flourish and keeping your green thumb green! Struggling to come up with a good conservatory design? We’ve built plenty of conservatories in Liverpool so give our portfolio a glance and get some new ideas.